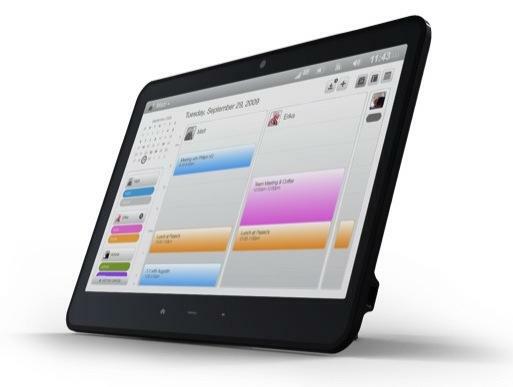 T-Mobile and ICD beat Apple to the punch at CES 2010 by showing off a new tablet. Developed by ICD, the ICD Vega is a 15″ tablet that’s described as a “portable family hub tablet”, which is not exactly a term that’s likely to catch on! Dodgy naming aside, the ICD Vega actually has some pretty good specs. The Vega is powered by NVIDIA’s Tegra250 chip, so it should run pretty fast. Although not exactly a mobile phone, the Vega runs a heavily customized version of Google’s Android 2.0, which means all manner of touchscreen goodness is promised. As well as a T-Mobile SIM so you can make phone calls from the device (but not, it should be said, by putting it against your ear! Think more speaker phone than mobile phone), the Vega also comes with Wi-Fi, FM-radio, On-demand TV, full 1080p HD video playback and the usual Android software such as Web browsing, calendars and email. Indeed, this the heart of the purpose of the device. T-Mobile apparently did some research asking families what they most wanted help with, with the majority saying something to organize their family life. Enter the ICD Vega, which T-Mobile sees as being at the heart of family life – in the kitchen. The idea is for the Vega to offer a shared family calendar that anyone can use, and which will text various members of the family when an appointment is approaching, for example. You can also write notes on it to leave for other family members, keep up with your social network while waiting for your food to cook, or just surf the Web. So now there’s no reason ever to leave the kitchen. Er, great, I think! What is it about these gadgers this year that are determined to leave us house-bound?! The ICD Vega will be coming to the UK later in 2010, when pricing will also be announced. i want one of these so i can turn it into a bloody big phone ! how cool would that be ha.